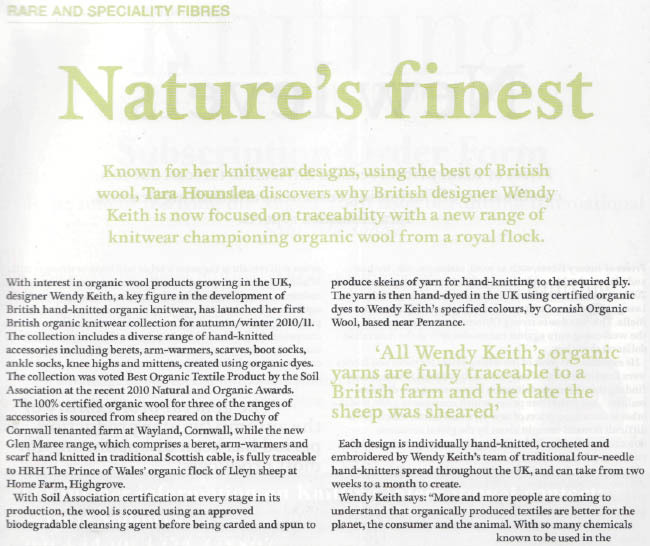 Nature’s Finest article on WKD. We were recently lucky enough to have this lovely article written about us. Prince of Wales shows the way to lead wool back into the fashion fold.